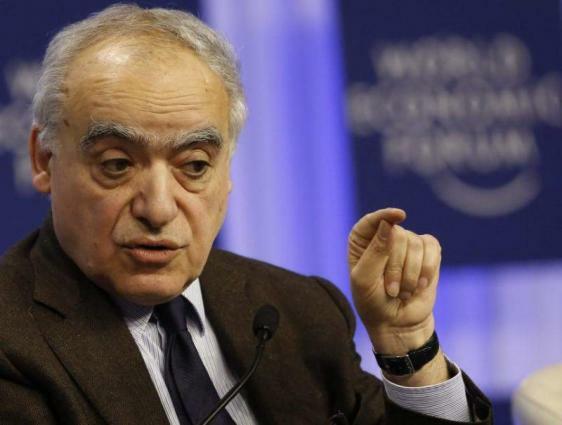 MOSCOW (UrduPoint News / Sputnik - 17th April, 2019) UN Special Envoy for Libya Ghassan Salame condemned on Wednesday a rocket attack on the Libyan capital of Tripoli, extending his condolences to the families of the victims. On Tuesday, several rockets were launched at Tripoli. According to the UN Stabilization Mission in the middle Eastern country (UNSMIL), 14 people were killed and 40 injured in the attack. The Libyan National Army (LNA), led by Field Marshal Khalifa Haftar, which besieged Tripoli in recent weeks, told Sputnik it was not responsible for the rocket attack. "With great sadness, I extend my deepest condolences to the families of the victims and I wish a speedy recovery for those injured. The use of indiscriminate, explosive weapons in civilian areas constitutes a war crime," Salame said, adding that he condemns the attack "in the strongest terms. The political situation in Libya has been in a critical state since April 4, when Haftar ordered his troops to advance on Tripoli in a bid to drive what he called terrorist forces out of the city. In response, armed forces loyal to the Tripoli-based Government of National Accord (GNA) started a military operation against the LNA. Since the overthrow and killing of Libya's long-time leader Muammar Gaddafi in 2011, the country has been divided between two governments, with the eastern part controlled by the LNA, and the western part governed by the UN-backed GNA, led by Prime Minister Fayez Sarraj.